Data mining and machine learning applied to problems in text analytics, social media understanding, Web mining, and social aspects of data analytics. Dr. Asim Karim has joined ITU as Visiting Professor in the Computer Science Department. 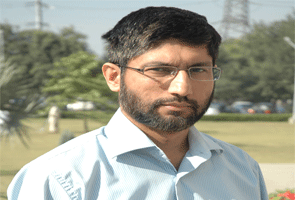 He is on sabbatical leave from Lahore University of Management Sciences (LUMS) where he is Professor of Computer Science in the Syed Babar Ali School of Science an Engineering. He joined LUMS in 2002 after completing his PhD from The Ohio State University. Dr. Karim is an internationally recognized researcher in the areas of data mining, machine learning, and applied artificial intelligence. He has authored over 50 articles at leading venues including two books and 20 journal articles. His publications have over 1400 citations (h-index = 16), and his work has won recognition at international competitions. In 2015 he was awarded the prestigious PAS-COMSTECH Prize in Computer Science by the Pakistan Academy of Sciences in recognition of his outstanding scholarship in computer science and information technology. Dr. Karim’s research career spans over 18 years. For the past 10 years, he has focused on data mining and machine learning applied to problems in text analytics, social media understanding, Web mining, and social aspects of data analytics. He is founding director of the Knowledge and Data Engineering Lab at LUMS which is the center of his research activities. The lab’s recent publication venues include ICDM, CIKM, PAKDD, EMNLP, and KAIS. Dr. Karim has supervised four PhD graduates in the data mining/machine learning area. Besides academic activities, Dr. Karim is also an active adviser to the industry on data mining and machine learning problems.